Further Severn joy for Ian Futcher! 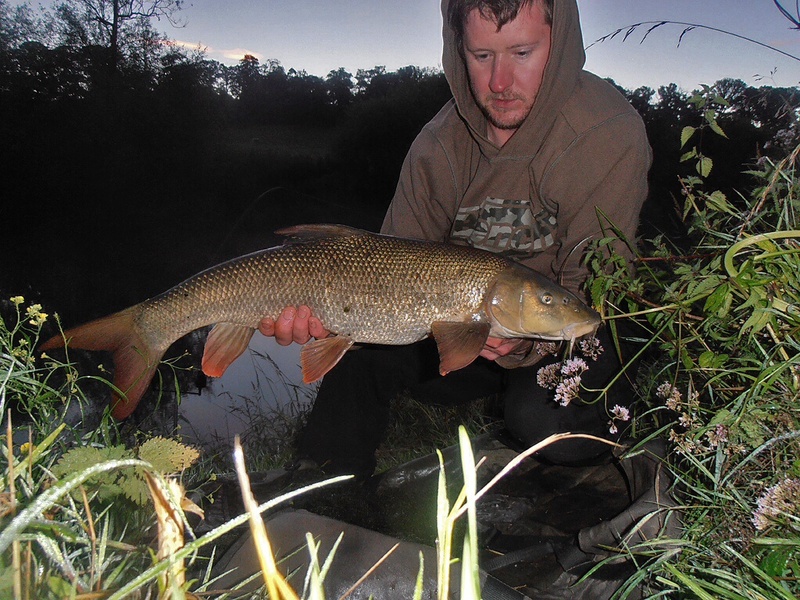 “After having had a couple of productive sessions at the Lymm AC stretch at Atcham, I decided it was time to try a different part of the Severn after that elusive double figure barbel. I chose to fish at Rossall as this stretch is renowned for producing larger specimens of both barbel and chub, in fact, currently holding the club record for both species. With the river running very low and clear at the moment it was possible to see the river bed in most places, but more importantly, where the deeper water was. I set up camp in a swim which had a deeper channel about three quarters of the way across the river and using a large bait dropper, I emptied several loads of hemp, pellet and tigernut boilies into where I hoped the barbel would be waiting. 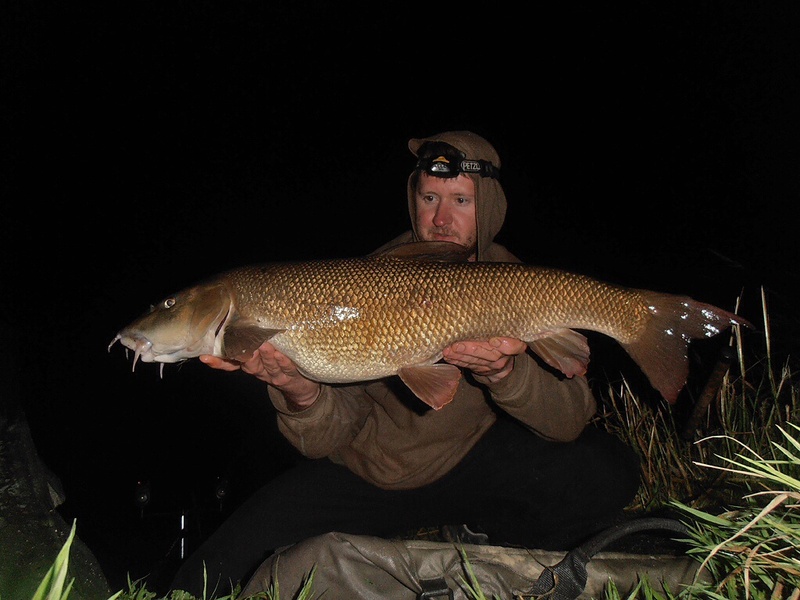 The first night came and went with two barbel of around 7lb to show for my efforts and as expected the whole of the next day passed by without as much as a twitch on the rods. As the light started to fade on the second night, I put another 10 droppers of bait on each spot and waited to see if any barbel had found my bait. The river was misty and eerily quiet with just the sound of owls calling and the occasional bleep on the alarms as bats flew into the line. Then like flicking a switch the rods came to life. 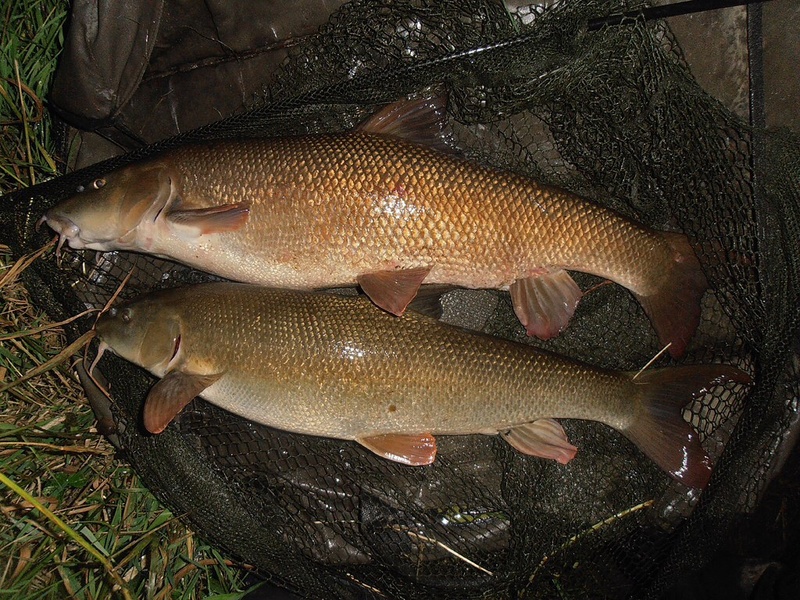 Three barbel, again all around 7lb came in quick succession and as I was netting the third my other rod started dancing on the rest signalling yet another fish! Ian’s first double and new PB 10lb 2oz barbel. Congratulations,Ian, fine angling again! To find details of how to join Lymm AC and try your hand at catching fish such as Ian’s, then simply visit our website at www.lymmanglersclub.com where you will information on all of our waters and memberships, including the incredible value Rivers Card.